The National Police Commission (NAPOLCOM) released results of October 2013 PNP Entrance and Promotional Exam on Friday, January 17, 2014. 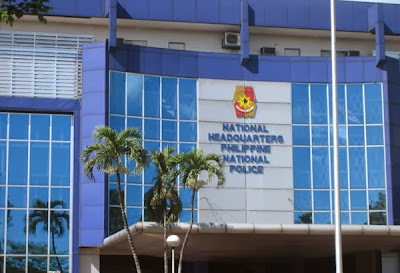 List of passers and Top 20 for PNP, Superintendent, Police Inspector, Senior Police Officer and Police Officer are now available here as officially released online. NAPOLCOM said that 33,734 examinees took the exam on Sunday, October 20, 2013 at different testing centers nationwide: Makati City, San Fernando City, Tuguegarao City, San Fernando, Pampanga, Calamba City, Palawan, Legazpi City, Iloilo, Cebu, Tacloban, Pagadian, CDO, Davao, Koronadal, Baguio, Butuan and Cotabato City. Eduardo Escueta, NAPOLCOM Vice-Chairman and Executive Officer said that 13,651 took the PNP entrance examination while 20,083 were distributed to the various promotional test categories. October 2013 NAPOLCOM exam covers the qualifying test for Police Officer I and the promotional examinations for Police Officers 2 and 3; Senior Police Officer (for SPO1 to SPO4); Police Inspector (for Inspector and Senior Inspector); and Police Superintendent (for Chief Inspector and Superintendent). In October 2012 NAPOLCOM exam, the commission released results in more than three (3) months after the test with list of passers and topnotchers available on the first week of February 2013. Aside from online availability of results, NAPOLCOM will also notify nationwide results via post at the commission's central office located at 371 Senator Gil J. Puyat Avenue, Makati City. Regional list will be posted in each of the NAPOLCOM Regional offices also.